Over the past 6 months, we have averaged 42 successful draw prediction per month. This translates to over $2,100 (39 draws x 3.12 odds x $20). With the addition of our machine-learning artificial intelligence computer systems, our correct draw prediction becomes better, month on month. 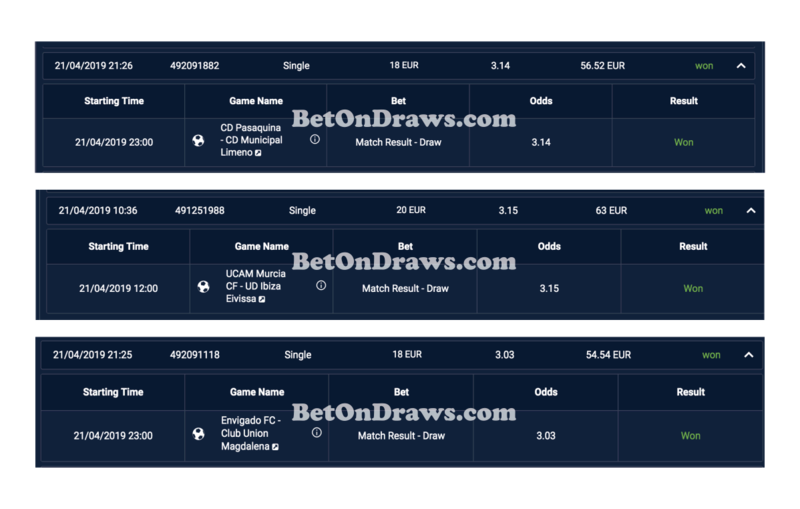 Get our Draw Betting History and also read screenshots of testimonials from real human who have profited from our draw prediction.